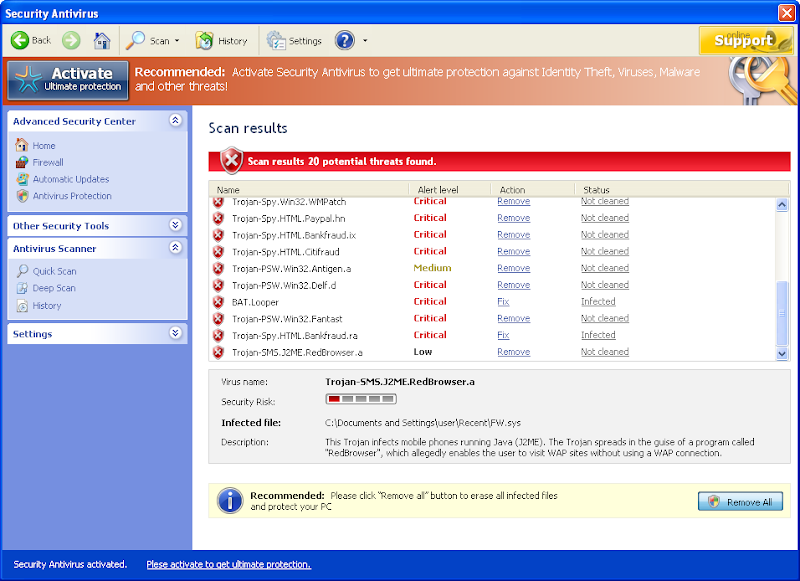 Security Antivirus is a new rogue (fake Antivirus). This software drops non PE files on the system and detects them as infected. If your PC is infected with Security Antivirus use MBAM to remove the infection.